Organizations today must be able to do more with less in order to survive and prosper. The ability to discover and utilize employees full potential to achieve the organization's top goals has become a critical survival tool. To this end, many HK organizations have used coaching strategies as a means to develop their staff, to help them resolve problems, as well as a tool to motivate. The Coaching and Feedback Skills training workshop Hong Kong provides corporate managers, supervisors and human resources personnel with skills, as well as techniques, required to successfully coach and enable feedback from their employees. Mentoring has been an effective way to develop leaders in China, Greece, and other civilizations since ancient times. Today, mentoring has become an effective method for businesses to help employees with orientation, good career advancement, problem solving, coaching, support, and leadership development. In addition, HK mentors can best assist employees to deal with the challenges associated with successful, productive, meaningful work-life. The purpose of the Mentoring Skills training workshop Hong Kong is to provide program participants with the necessary skills, techniques and knowledge to contribute constructively, as well as be an successful mentor in the context of their organization’s mentoring strategy programme. The Key to Engaging Your Workforce is an effective and practical one-day training workshop to help Hong Kong team leaders, supervisors and managers create a more dynamic, loyal, engaged and engaged workforce to support the best business growth in a dynamic environment. This training program is designed specifically to help the HK business manager understand what their team members want, and to provide them with good methods for creating successful champions. Hiring the right people is critical to the success of any organization today. At the same time, best hiring decisions are often made based on the performance of a candidate at an interview. It is therefore crucial for managers to be equipped with good techniques, methods and skills to conduct interviews effectively. The Interviewing Skills Workshop will coach Hong Kong course participants to have successful interviewing strategies and skills which will enable them to select the right people for their organization. Recruitment and the selection process is one of the key management tools. 'Do it right' - that is the theme for this international training program. It is not by chance that Intel, Google and Apple are all successful - they all have outstanding recruitment process, which is never compromised. In the Successful Interviewing training course Hong Kong programme participants will be coached in latest strategies and techniques covering the nine (9) critical parts of the interview process. This Hong Kong interview skills training program coaches participants to master customising the formulas to assess education, experience, skills and personality desired for job specific behaviours in order to select the right candidate. Training course participants will gain confidence in interviewing techniques as well as mastering a result-focused process for rightly selecting candidates that best suits the competency-based requirements. Complaints are the best gifts customers can give to an organization. While complaints are rarely pleasant, they often carry a positive intention. Unfortunately, many HK organizations and customer service personnel have adopted a negative attitude towards complaints, which in turn lead to unnecessary conflicts, angers and even sabotage. To be able to successfully handle customer complaints professionally and tactfully not only helps to resolve the issue at hand, but also raises the public image of the organisation. The purpose of Customer Service and Complaint Handling training course Hong Kong is to coach staff so that they have an awareness of providing extra service in customer complaint handling, as well as equip the program participants with communication skills and strategies to leverage on the positive intention and turn a complaint into a win-win solution. 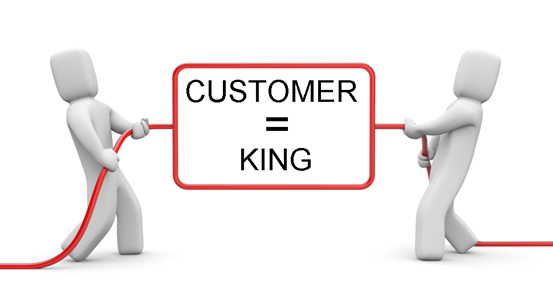 Customers are the reasons businesses exist. Every manager must recognize this fundamental truth in business. While professionals focus their services to the customers on the technical side, managers often need to deal with the customers’ concerns, complaints, and even emotions. The Serving Customers from the Heart training workshop Hong Kong coaches programme participants with strategies, techniques and tools that will enable them to successfully communicate with customers, and handle their concerns effectively, as well as professionally. The Professional Telephone Skills Workshop purpose is to provide Hong Kong course participants with the strategies and skills involved in successful communicating methods over the telephone - from identifying the caller’s needs, to presenting information. Both internal and external callers has been taken into consideration in the design of the training course coverage. Understanding financial documents, analyzing financial performance and managing budgets is a part of many managers’ roles. However, this can be challenging for HK executives without extensive training in accounting or financial management. The Finance for Non-Finance Executives training course Hong Kong aims to explain tools and concepts for analyzing financial statement and evaluating investment decisions. 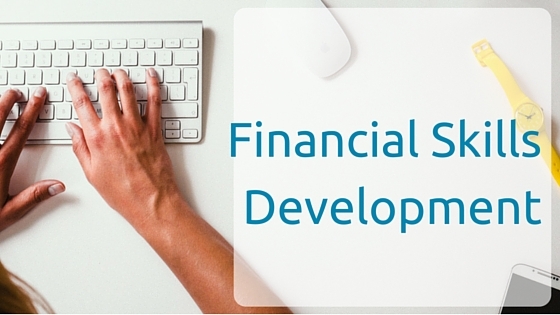 You will learn methods that will help you assess the financial health of your department, measure your financing needs, determine budgets and investment proposals, as well as how you should finance them.